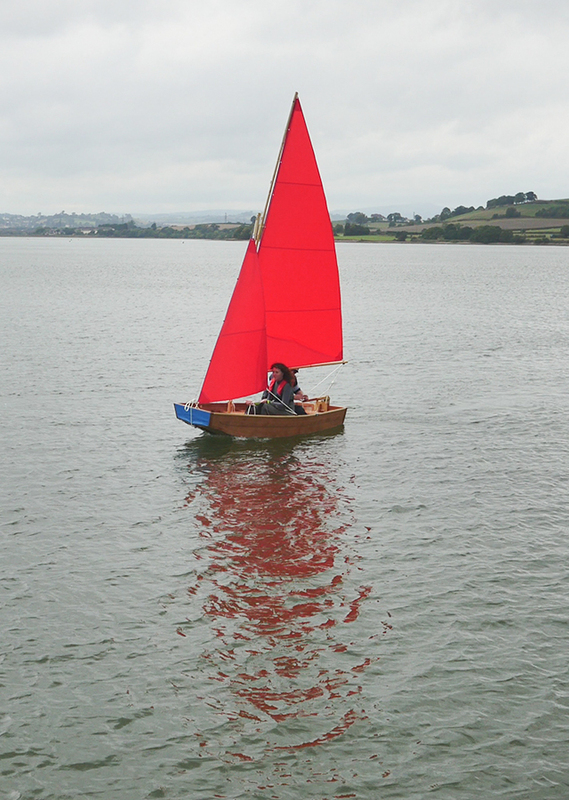 *Notes: We are pleased to announce the return of the Lug Sailing rig. 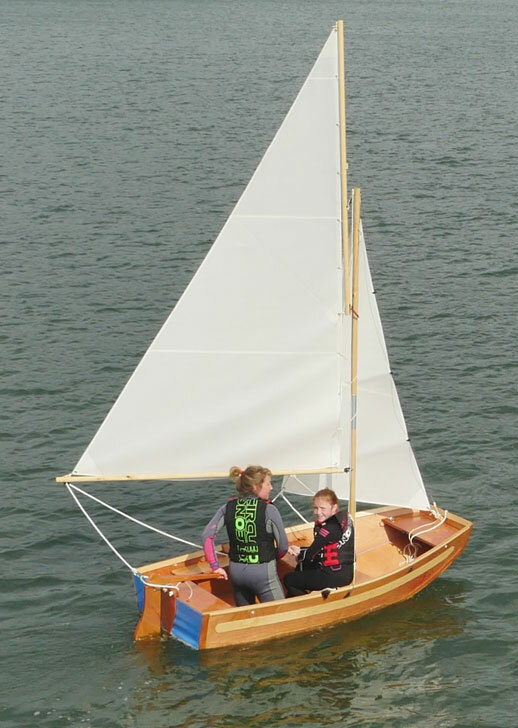 The cost of this rig is £150 less than the cost of the standard Gunter Sailing rig. Select box below to choose this option instead. This refers to the end panels at the bow and stern of the boat. 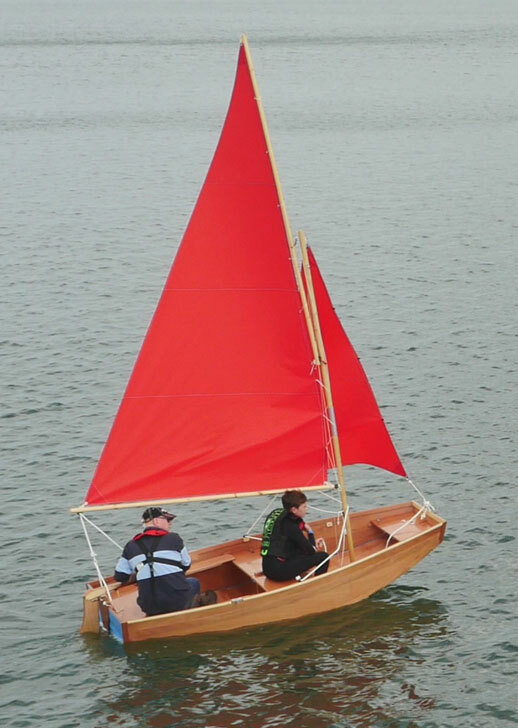 This boat has good stability and very good carrying capacity. 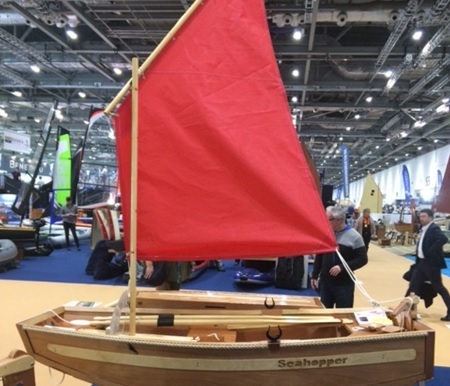 Great if you’ve got a large dog to take sailing or lots of gear to carry, or are maybe looking for a club safety boat or need to carry racing buoys and markers. 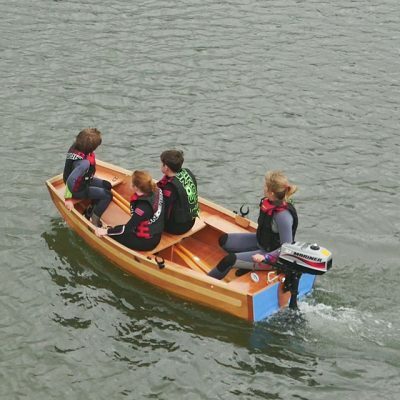 Still versatile, this folding boat requires two people to handle when for example you are off-loading or loading onto a roof rack. 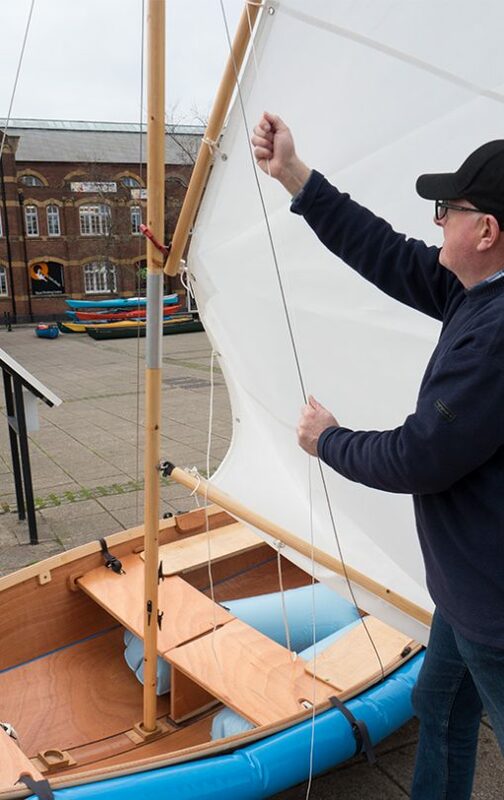 Like all our folding boats, the Kondor has a skeg wheel which allows one person to manoeuvre it on reasonably firm ground. 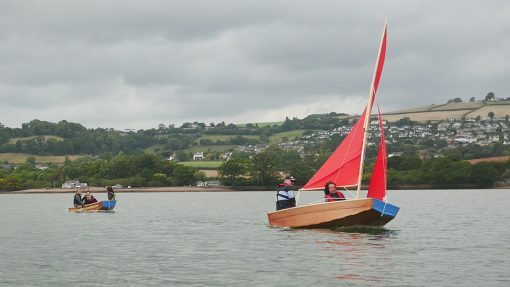 Don’t forget there’s also the option of buying the sand wheels which slot into the underside of the daggerboard case allowing really easy launching even across soft sand. This sail boat might easily be mistaken for a Mirror Dinghy. 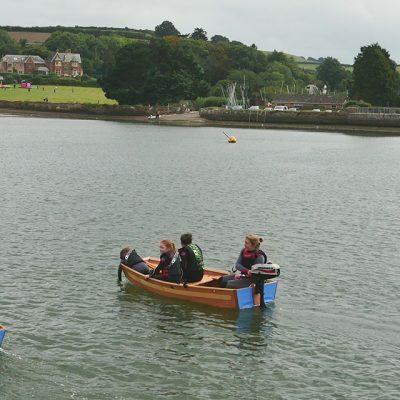 Here are some facts relating to the main materials we use in construction of our folding boats. 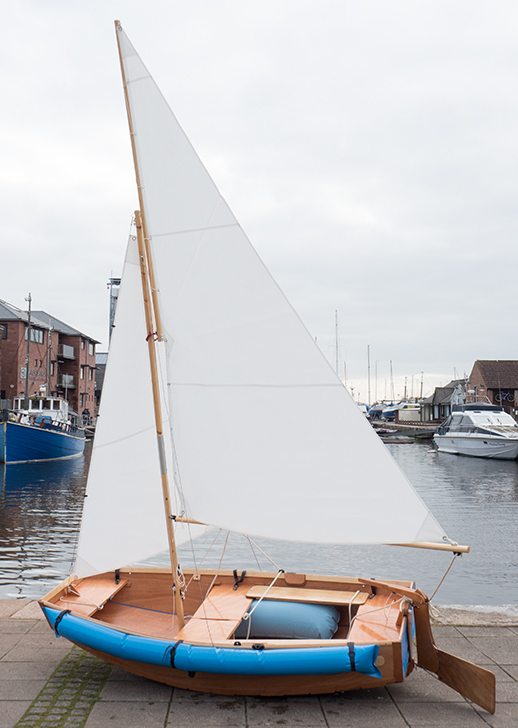 All our boats use good quality materials we source from around the world. 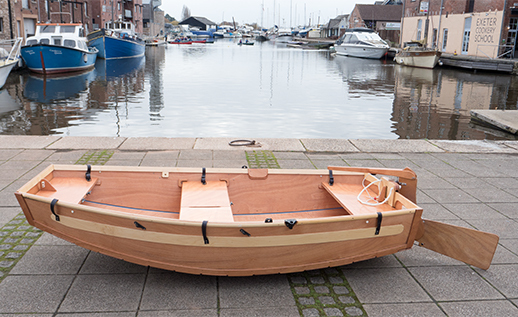 We use ELITE marine grade plywood with a 15 year guarantee produced in a Lloyds approved mill ensuring consistent quality. 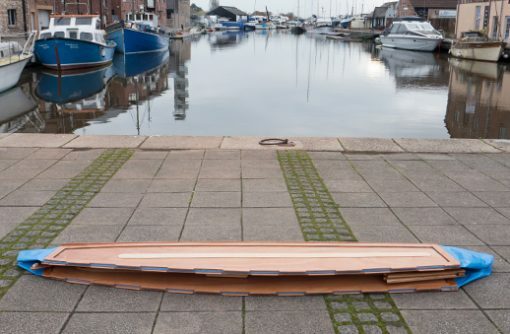 With a pale mahogany colour, it is manufactured from selected Gaboon (Okoume) veneers throughout, it has an attractive close grained face which is ideal for varnishing and finishes well. 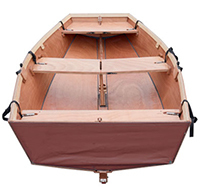 Due to its excellent strength to weight ratio, it is also very popular for dinghy construction and ideal for our versatile folding boats. The product has the following approvals BS1088, Lloyds Register Type Approval, PS1-95, KOMO Class ‘A’ or ‘C’. The plywood has FSC certification which means the products that provide environmental, social and economic benefits. 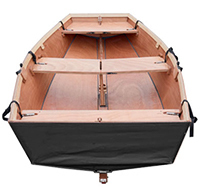 The fabrics we use for the ingenious jointing system and the bow and stern panels is based on 700gsm super heavy duty satin lacquered and fire retardant PVC material. BS 5438 1989 Tests 2a and 2b. 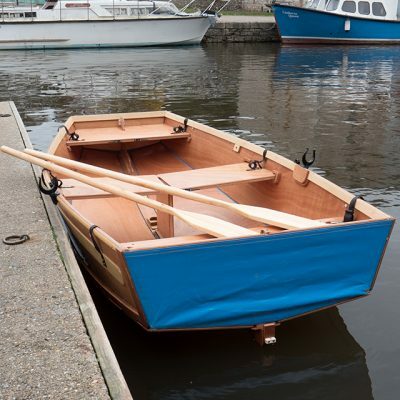 The main adhesive is a two pack variety which provides excellent adhesion and sealing properties in the jointing strips and the four corners of the boat’s construction. 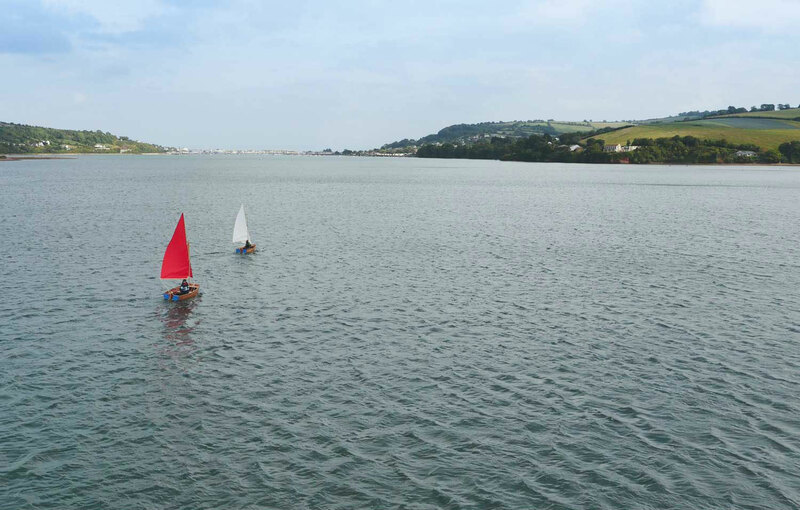 We use a traditional quality UV resistant yacht and seaplane varnish. Two diluted veneer washes are used to seal the surface and end grains of the plywood panels before two top coats of 100% varnish are applied. 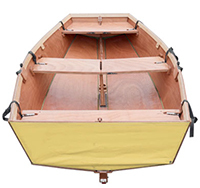 This provides a durable and workmanlike finish, which can easily be touched up if scuffs occur, and easily rubbed down for adding a new coat of varnish at the end of the season. 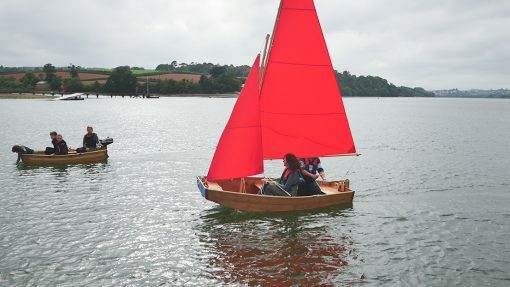 Length (folded) 3.15 m 10'4"
Width (folded) 0.56 m 22"